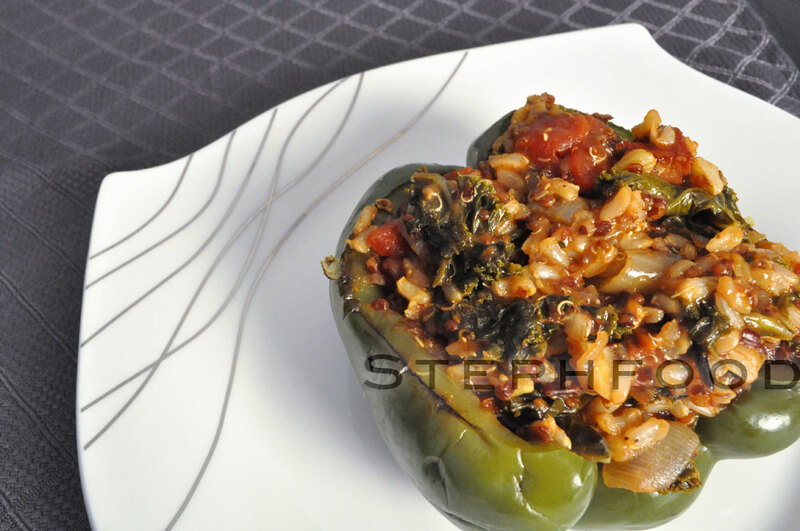 I found this easy stuffed pepper recipe, and thought it would be a great one to share. It mixes some of my favourite recipe elements: fun spices and healthy ingredients. 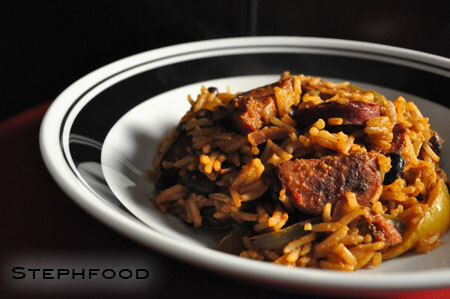 This dish is made with a bit of smoked sausage, but could EASILY be made vegetarian. 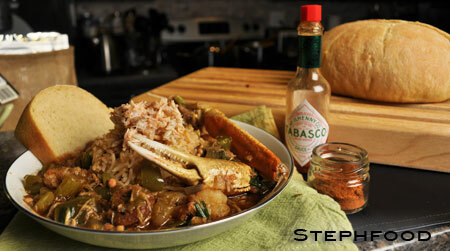 This month’s Daring Kitchen challenge is Gumbo! 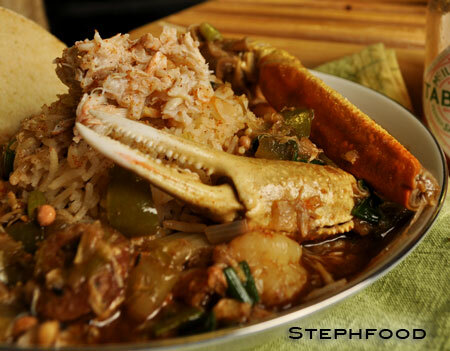 Gumbo is a stew from Louisiana that is often made up of meat or shellfish, and is thickened with a dark roux, okra and/or filé powder. I was already excited to try cooking a dark roux again (for the second time ever), but things got even more exciting when I realized I had to get a new seasoning – filé.